While establishing employee volunteer programs is an obvious way for companies to give back to their communities and build their brands, there’s an additional benefit: volunteer programs are a powerful engagement and retention tool. In fact, when employees feel connected to their company’s giving and volunteering efforts, turnover drops by an average of 57%. In addition, volunteer programs (along with other philanthropic efforts) can support your recruiting efforts. Research shows that 79% of candidates would prefer to work for a socially responsible company. In 2017, for example, more than half the organizations that made Fortune’s list of the 100 Best Companies to Work For offered volunteering as a perk. But despite these promising numbers, Deloitte’s 2017 Volunteerism Survey found that only 38% of U.S. employees say their company actually offers volunteering programs. This is despite the fact that a whopping 89% believe these programs create a better working environment—and 74% think they strengthen everyone’s sense of purpose. Whether it's sweeping gestures or small but meaningful efforts, there are plenty of ways to make giving back a core part of your company’s culture and perks. And, companies that are doing that are reaping the rewards. Here’s a look at how four companies—large and small—have benefited from implementing volunteer programs and how you can do the same. While some companies offer a few hours of paid time off for volunteering, biotechnology company Genentech does something extra by dedicating a full week in June to giving back to the local community each year. The company has embodied a “work hard, play hard, give back” culture for more than 40 years, and employees have responded enthusiastically. During “Genentech Gives Back Week,” employees are encouraged to volunteer at nonprofits during paid work hours. They can also take part in activities organized by the company, such as cleaning up local beaches to bidding in silent auctions supporting local charities. At the end of the week, the company throws a massive concert to thank employees for their hard work. In past years, A-list entertainment who’ve performed at the concerts has included Justin Timberlake, Katy Perry, and the Foo Fighters. Although this obviously requires a lot of resources, any company can replicate some of the activities held during Genentech Gives Back Week. Take, for example, the annual three-mile “Bay to Beakers” Children’s Walk, which is Genentech’s spin on San Francisco’s “Bay to Breakers” Walk. The company donates money to two children’s charities for every participant, and costume contests like “best team” and the “Genentech spirit” award make the event a fun team-building opportunity for everyone involved. Genentech has found that its volunteer programs encourage employees to truly embody the company’s values. “The culture of people who work here is pervasive and follows us into our activities outside the company,” says Mike Dunn, Genentech’s group product manager. Dixon Schwabl proves you don’t have to be a big company to make a huge difference. 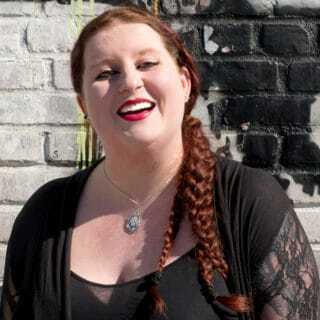 The New York-based marketing and advertising agency employs a little over 100 people strong and has a culture that’s built around collaboration and giving back. 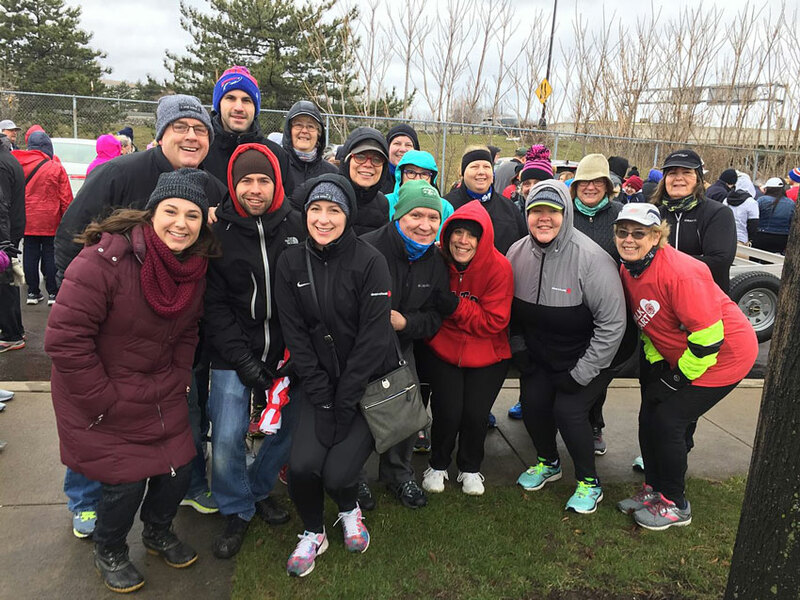 One charitable event that Dixon Schwabl supports is the annual Rochester Heart Walk & Run. 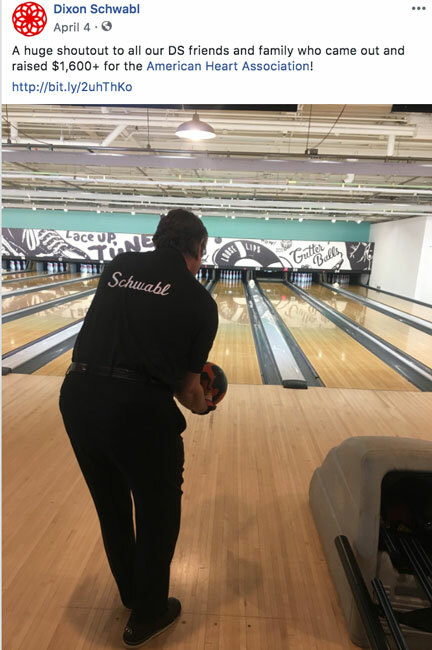 In 2018, the team raised over $11,500 through various fundraising events, including an evening of bowling and a Valentine’s Day cookie and cake sale. As a tangible way to align the company’s culture and values, employees are also given a fully paid “Make It Happen” day each year to donate their time to a non-profit of their choice. For companies that don’t have the resources to organize large events, small touches like company-wide fundraising challenges can bring employees together in a powerful way. Plus, pre-organized events like local charity walks and runs make it easier to do something impactful on a small budget. Every year, 34,500 Nationwide employees take part in various volunteering events, from helping out at food banks to mentoring students. The insurance company also partners with the American Red Cross. Notably, Nationwide’s headquarters in Columbus, Ohio is even equipped with an onsite blood donation center. To reward employees for helping to save lives, the company offers a half day of paid time off for each successful donation. Since 2000, associates have donated more than 233,000 units of blood. “I have never worked for a company that wanted to help the community as much as this one,” one employee says. Ninety-two percent of Nationwide employees say they feel good about the ways the company contributes to the community—and 89% say they’re proud to tell people they work there. You might not be able to house an entire blood donor center on site, but partnering with local charities is one way to show employees you care about the community and want to give back. If you can offer paid time off for volunteering or other charitable work, even a few hours can make it easier for employees to get involved. 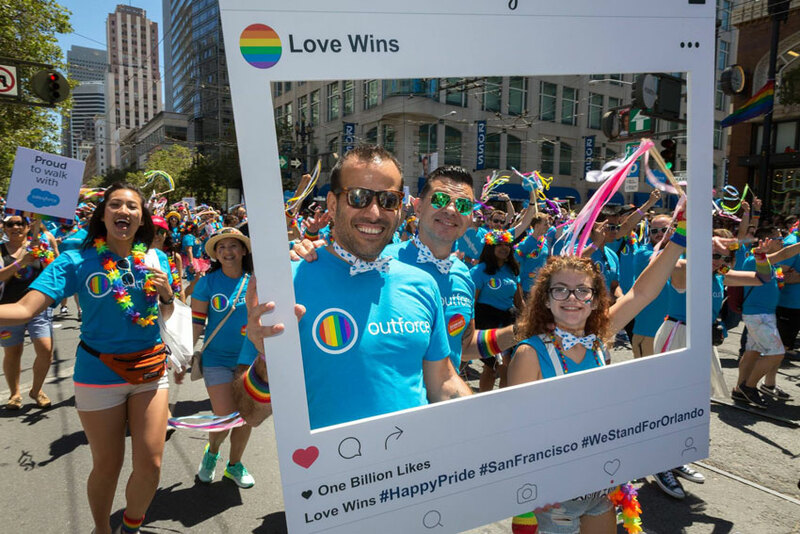 When it comes to paid time off for volunteering, Salesforce goes above and beyond—offering employees 56 hours (seven days) each year. And when employees complete their days of service, they’re rewarded with $1,000 to donate to their favorite non-profit. Volunteering is an important part of Salesforce’s employee engagement programs. 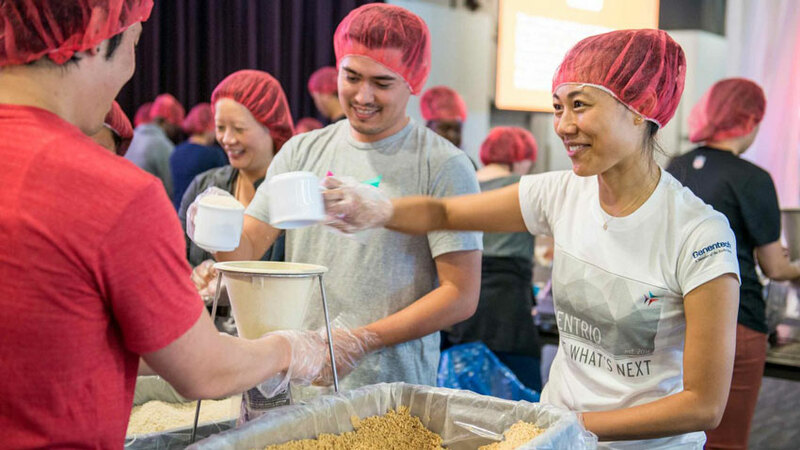 In 2017, Salesforce topped the list of Best Workplaces for Giving Back, and the company says this culture of helping others is one of the main reasons employees choose to work there. These initiatives have helped the teams at the company band together and build strong bonds. 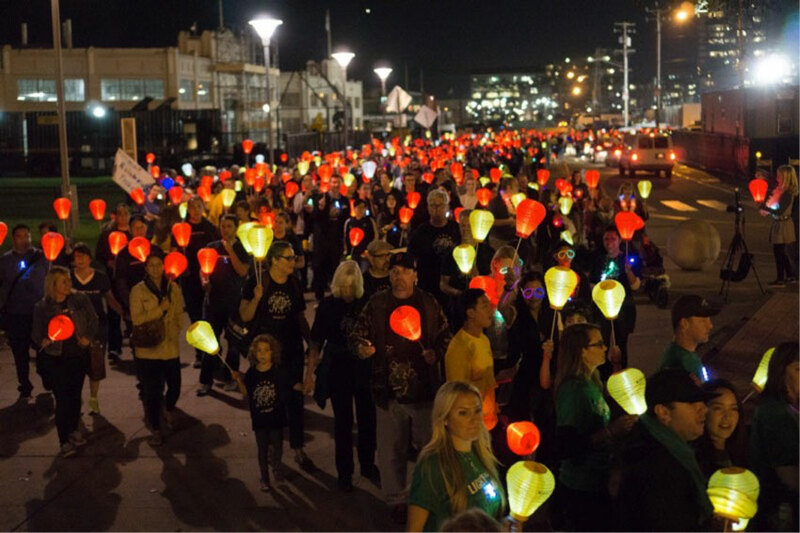 After John Greene, the company’s VP of customer-centric engineering, won his battle against leukemia in 2011, employees across the nation rallied around him to support the Leukemia and Lymphoma Society’s annual Light the Night Walk. In 2016 alone, they raised $2 million for this event through trivia nights, wine tastings, bake sales, and more. By offering an extra incentive like a small charitable donation for employees that embrace volunteering, you can show just how committed your company is to giving back. This can help employees view volunteering as an important aspect of their job (and not just something they do in their spare time), strengthening their sense of purpose at work. And when team members volunteer together, the relationships they build are more meaningful and supportive. Engaging employees through volunteering programs can improve retention, encourage collaboration, and build a culture that people are proud to be part of. Whatever your budget, there are a few simple steps you can take to make these programs succeed at your company. First, align your program with your company’s values and mission to help employees feel a meaningful connection to the work they’re doing (both volunteering and in the day-to-day). If you’re a tech company, for example, your employees might help teach computer literacy. Second, incentivize employees to take part, whether you’re offering paid time off or just a fun team-building opportunity. Employees value the opportunity to give back to their community, but it’s always nice to feel like your employer values your efforts. Share what you’re doing publicly on your careers site, company blog, and social media channels to let candidates see you’re a company that cares. Finally, build choice into every part of your program. From allowing employees to opt into letting them pick the nonprofits they work with, provide choices and encouragement so that no one feels forced to do something they’re not comfortable with. At the end of the day, volunteering should feel like a worthwhile experience, not an obligation.